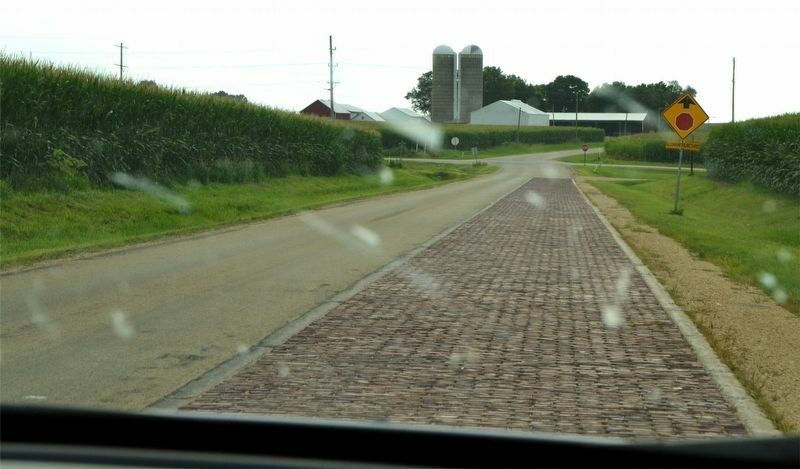 Built on the old Chicago and Iowa Trail, this road was the first state aid paved rural road in northern Illinois. Begun in 1914, it was dedicated August 24, 1915. One lane of fired bricks was put in the north lane, a dirt tract in the south lane; one and five-eighths mile long. Erected 1994 by The Ogle County Historical Society. Location. 42° 1.317′ N, 89° 16.64′ W. Marker is near Oregon, Illinois, in Ogle County. Marker is at the intersection of East Brick Road and North German Church Road, on the right when traveling west on East Brick Road. Touch for map. Marker is in this post office area: Oregon IL 61061, United States of America. Touch for directions. (approx. 11.1 miles away); Upper Ferry Landing (approx. 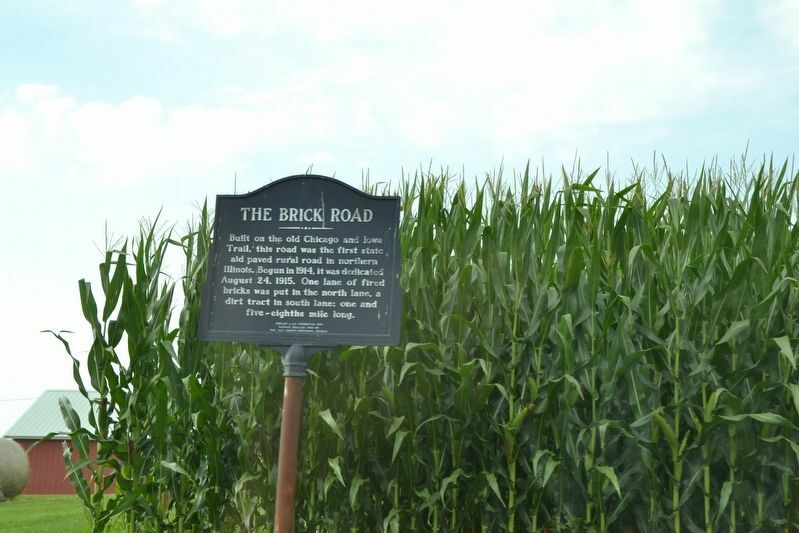 11.2 miles away); Erected to the memory of Leonard Andrus founder of the village of Grand Detour Illinois 1835 (approx. 11.2 miles away). More. Search the internet for The Brick Road. Credits. This page was last revised on March 25, 2019. This page originally submitted on March 22, 2019. This page has been viewed 26 times since then. Photos: 1, 2. submitted on March 22, 2019. • Andrew Ruppenstein was the editor who published this page.